Pose is very easy to use. Tap on the camera icon at the bottom of the screen, select Camera, strike a pose while wearing the item in question–or take a picture of the item by itself, your choice–and snap a picture. You can take several photos at different angles to allow your viewers a real feel for the outfit. After you’re finished with that, type in the price of the outfit and where you found it. Then upload the picture to the Pose page created just for you and send notifications out via Facebook or Twitter so your friends are aware that you’ve tried on something new. Your friends can then Like or Comment on the outfit. 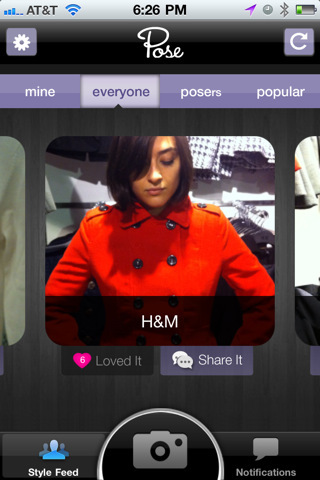 There is also a Style Feed function that allows you to view outfits tried on by your friends or other fashion-savvy users. This function can be especially useful when you’re looking for a particular item; you could possibly see someone else wearing it. Check out where they found it, hop in your car and ta-da! You have a new addition to your wardrobe. Pose can also work as a wishlist of clothes and accessories that you’ve been coveting but lack the requisite funds or time to purchase. For example, when your birthday rolls around, friends can check your list and buy something that you’ve been yearning for or use it as a general reference for what your style is like. Your significant other will find Pose particularly useful when picking out a special gift for you; never will you receive the wrong gift ever again. Using Pose is fun and entertaining; I like the concept of having a virtual clothing wishlist featuring yourself as the model. Going through the style feed and checking out what others are shopping for is also amusing and potentially inspiring. The photo quality and the clothes might not be comparable to lookbook.nu or other street fashion sites online, but for a free app it’s pretty nice. The one drawback to Pose is that there will be users who upload photos showcasing how cute they are rather than focusing on the outfit. This can’t be helped but can be ignored in favor of those who really are fashion savvy. 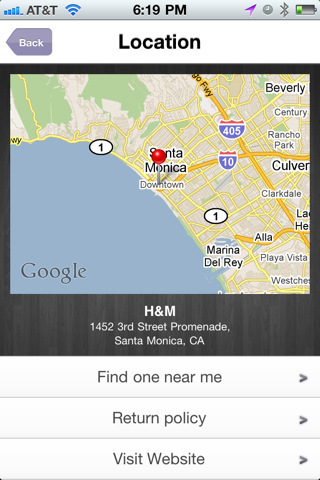 AppSafari review of Pose was written by Julie Guan on February 7th, 2011 and categorized under App Store, Free, Shopping, Social. Page viewed 3931 times, 2 so far today. Need help on using these apps? Please read the Help Page.